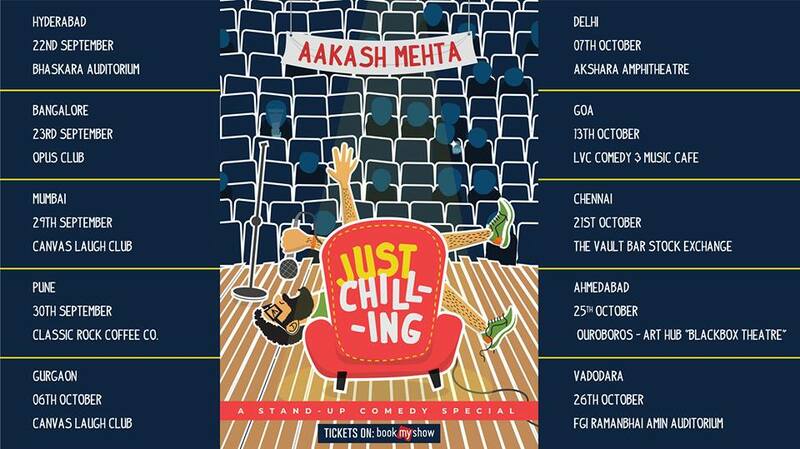 7 years into stand-up comedy and 25 years into being an Indian citizen, Aakash Mehta is finally realizing that things don’t really have to be difficult. Life still doesn’t make sense but maybe that’s the whole point. After over a thousand shows and many extensive tours of the country, Mehta has tried to capture that experience in one memorable hour of comedy. Just Chilling is exactly that – an hour of jokes, stories and asides. Because, in the end, people just want to have fun.